THE SIEGE OF JADOTVILLE tells the true story of the 1961 siege of a 150-member Irish U.N. battalion under Commander Patrick Quinlan by 3,000 Congolese troops, led by French and Belgian mercenaries working for mining companies. Jamie Dornan plays the Irish commander Patrick Quinlan while Guillaume Canet plays a French commander Falques. On Netflix October 7. 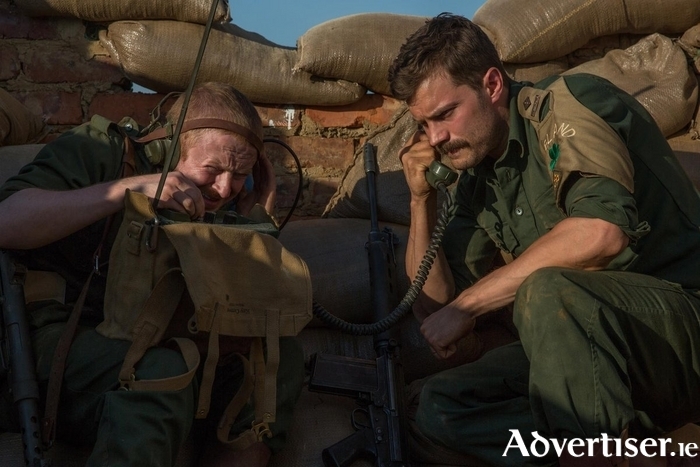 This entry was posted in Movie Trailer and tagged The Siege of Jadotville Jamie Dornan | Official Trailer. Bookmark the permalink. Looking forward to this one. I liked Beasts of no Nation, this looks even better. About time they told this story.